Integrated Care Communities (ICCs) – How do they work? A service which is the first of its kind in the UK is leading the way in screening and assessing patients to prevent delirium. The Memory and Later Life service at Cumbria Partnership NHS Foundation Trust launched ‘Reach-Out’ (Reduce, Educate, Assess & Care with Hope) in 2018 after co-designing the service with mental health specialists, clinicians, patients and carers. The teams work seven days a week at both the Cumberland Infirmary in Carlisle and West Cumberland Hospital in Whitehaven. Since its introduction, there has been a 20% reduction in positive cases of delirium reported and a reduction of 869 days in hospital. It is widely recognised that people recover quicker at home following an acute illness. The service was recently highlighted by the Care Quality Commission (CQC) in North Cumbria University Hospitals NHS Trust’s latest inspection report (November 2018) as an area of good practice. The Reach out team promotes hydration and nutrition through supported feeding during hospital stays and optimises the patient’s ability to connect with and make sense of their environment by making sure that glasses, hearing aids are working and worn. 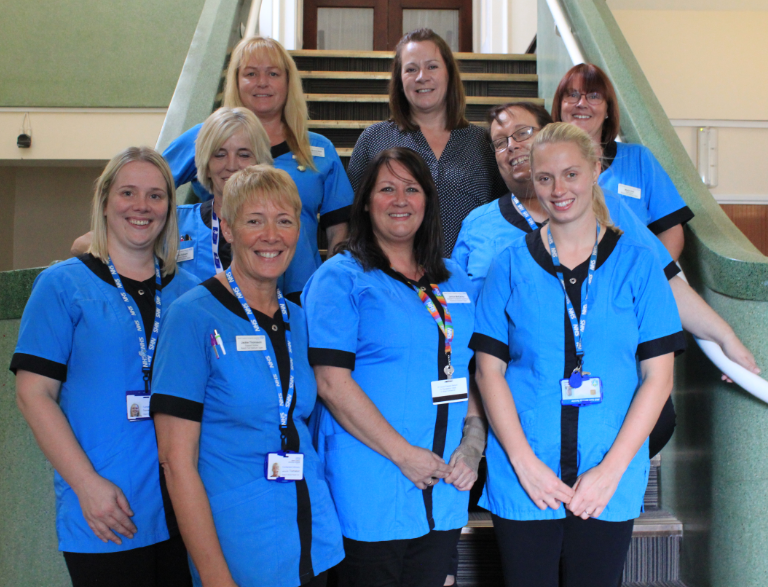 The team also provides one-to-one support of distressed patients and works with the ward teams on the management of patients with distressed behaviour, allowing the ward staff to focus on their patient’s medical care.